A trekker needs to drink liquids frequently and deliberately to avoid dehydration in winter. Water is required by your body to metabolise food, and thus to keep you warm and energetic. This permits you to better endure the physical and mental challenges of winter hiking. Nevertheless, cold weather suppresses the body's thirst mechanism and it often requires a conscious effort to drink enough water and rehydrate. On a typical day hike, your body loses around four litres of water, which is more than many trekkers probably drink. This is further aggravated by high sweat rate which often accompanies strenuous athletic activity in winters. If you're dehydrated by even 5%, you can experience a 20 to 30% decrease in your metabolism. Mild dehydration results in a headache, weakness, fatigue, irritability, loss of appetite, and decreased resistance to hot and cold. Yet, there is only so much plain drinking water you can consume on a cold winter day. Hence, to stay hydrated it is best to supplant plain drinking water with a warm drink. A warm drink goes a long way to ease the rigours of a cold winter trek. Besides being an immense psychological boost, a warm drink helps keep the body's core warm and the trekker hydrated. There is no better way to enjoy winter trek than to have an invigorating warm drink in your hands. So here's our countdown of the three best suited warm drinks for the Indian trekker. Instant soups come in more flavours than you can shake a stick at. This means anyone can find a host of flavours that they like. Plus, all it takes to make instant soup is hot/warm water. Although these soups offer little nutrition, I still recommend them for their taste and simplicity. Knorr instant soups come with bits of dehydrated vegetables or chicken as a garnish. My favourite non-vegetarian soup is Knorr's Chicken Delight Soup (Amazon India) and my favourite vegetarian soup is Knorr's Classic Mixed Vegetable Soup (Amazon India). Hot chocolate is my go-to drink for winter treks. Nothing sates hunger better on a trek than chocolate, period. However, a word of caution. That being said a cup of hot chocolate is a perfect drink if you sleep cold. A high-calorie drink helps keep the body warm at night and thus translates to better sleep. Kashmiri Kahwa is a fragrant tea infused with delicate flavours of whole spices. Kahwa is subtle in taste and it is ideal for times when you crave warmth yet don’t want the heaviness of classic milk coffee or tea. Kahwa is prepared from delicate green tea, thus being low on caffeine and it is also a natural anti-oxidant. This is my favourite way to stay hydrated on a winter trek. TeaRaja Kashmiri Kahwa has good reviews on Amazon India. My pick is Teabox (an Indian startup) Kahwa. It is more expensive but it tastes better and is available on Amazon India. I enjoy my Old Monk Rum as much as the next person. Even so, I do not recommend drinking alcohol on any trek. Alcohol is a strong diuretic. Alcohol also dilates the blood vessels of the skin, giving a false sense of warmth and affecting your thermal regulation and sweat control (to say nothing of its effect on your judgement). 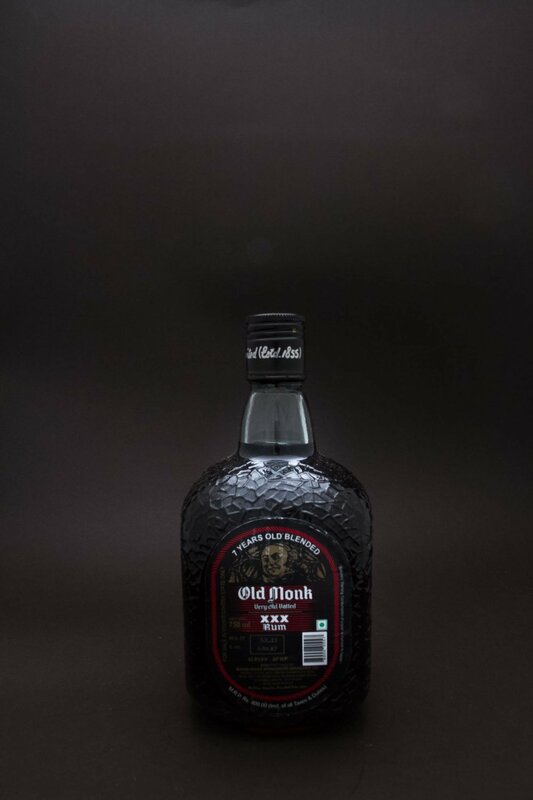 Save the Old Monk for a celebratory drink when you're back from your trek. Do you have other favourite winter trek drinks? Do share your thoughts and favourite drinks with us in the comments below. Feb 6 Tip #8 - Watch out for dislodged stones!